Saves Time And Money On Expensive Lessons By Preparing You To Go For Gold Right From The Start! Yep, an actual book with actual real life paper pages! I purchased and read “Introduction to Horseback Riding” and I was greatly impressed. I also thought that the bonus book “How to Stay Safe Horseback Riding” was very good too. I am going to join your affiliate programme and with your permission I would like to provide a copy of the Riding Safely booklet to my Australian mailing list too. In fact, exactly how are you going to get up there at all if the horse doesn’t stand stock still? Fear of failure, or making yourself look a complete idiot stops many people from learning to ride at all. Shame really, when all they needed was a bit of preparation before-hand to give them the courage to get up on the horse. If only they had known some of what was going to be needed to stay aboard, and be able to take control of the situation, would that have made a difference? Whether you are 5 or 50 and contemplating the grand new experience of horseback riding, don’t let a little thing like lack of confidence, and good old fashioned fear put you off. BUT what you need here is a way to feel in control of the fear and the excitement and expectation, and I’ve got just the thing! The conclusion is simple – buy yourself this great new Book – prepare yourself properly for the best new experience you’ve had in years – save loads of bucks – keep safe – and enjoy it all a whole lot more! Then you may well win that rosette. How’s that for a summary! If your answer is YES then we have a new Book that could dramatically change your life - starting today! How Can One Book Change Your Life? In one inexpensive Book you will learn more about horseback riding than you ever dreamed possible - through sensible, simple tips that are designed to get you on a horse and riding as quickly and as well as possible! No, what I want to do here is simply to tell you that I have been deluged with requests to provide the book in HARD COPY. I thought you would all want to print it out for yourselves but it seems that some of you prefer to have a hard back version, so here it is! This cool book prepares you to ride a horse, safely and in style - before you ever approach a horse! Gain the knowledge necessary to feel safe & confident the first time you sit in the saddle, and really make the most of your investment in riding lessons. Learning to ride well involves learning to simultaneously relax and control your own body while sitting on top of a constantly moving horse in order to communicate with the horse through clearly given body signals or aids, all the time reading and responding to the horse's feedback. A tall order! I purchased and read your e-book “Introduction to Horseback Riding” and I was impressed. I also thought that the bonus book “How to Stay Safe Horseback Riding” was very good too. I run a small horse grooming products company in Australia www.h-10.com.au and there's also a parent company in the UK at www.h-10.co.uk I am going to join your affiliate programme and with your permission I would like to provide a copy of the Riding Safely booklet to my Australian mailing list too. If you are just starting out with horseback riding, you want to focus on the information you need to get you in the saddle and to keep you there safely as you ride. And let's face it, when we are learning something new it is so difficult to take in all the information we are given verbally. If you have it written down, and can read it through several times before you get to the first lesson, how much better would that make you feel? Wouldn’t it be great to be able to take in the information because it is familiar to you – so that you can concentrate on staying in the saddle rather than the information that’s being thrust at you so quickly. So many instructions all at once can send you into information overload, and then you can't remember a word of it and feel silly – does this make you feel like a failure before you even start? I know it does with me. After all, how many of you passed an exam or learnt to drive without reading the manuals first? I certainly need to study hard for them. So surely you need to prepare for your horseback riding lessons in the same way to make your new hobby a really enjoyable success right from the start! Introduction to Horseback Riding’ is one of the first books about learning to ride that acknowledges its true purpose: You cannot learn to ride by means of a book alone and this author knows that. If you go to the website you can see that the purpose of the book is to prepare a new rider to get the best value for money out of their riding lessons (and hopefully reducing the number they need) by providing a wealth of really useful, simple to understand, basic information anyone new to riding or horses needs. This book provides the background knowledge that will enable you to understand the way that a horse sees the world and to feel confident in the saddle from your first lesson. The idea is that not only will you enjoy it but you are also able to take in the enormous amount of new information you’ll be given by the instructor, because you will have read a lot of it beforehand in the book, and you will therefore just be setting it in the context of the animal itself. So, if you are clever enough to ask your instructor to tell you what they plan to cover for each lesson, you can use the book to read up on it beforehand. This kind of preparation is going to see you progress with your lessons faster and much more safely, to get you out on your own in your new hobby in the fastest possible time. But Don’t Take My Word For It See What Others Say…..
Horseback riding lessons can easily add up to hundreds of dollars before you learn the useful information you really need to get riding. Now, in this one affordable book you get all the facts you need to get on a horse and start riding worry-free - all for one low price. For a fraction of the price of a lesson, you will get instant access to all the facts you need to start horseback riding well. Don't try to fit horseback riding lessons into a packed schedule and on a small budget - read this book first to get the basics and find out whether horseback riding is for you. Then, you can always choose a few lessons if you wish - you will already have saved a small fortune by learning the basics on your own time and for one small price. Again, thanks for your work to help all of us! 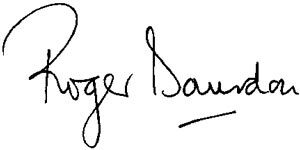 I look forward to every issue of your news letters. Order your own hardback copy today! Pay just $67 and collect your bonuses worth $150. That's a total value of $217 for just $67! 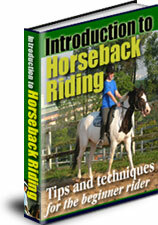 If you went to www.anyhorsebackriding.com You'd have seen that I offer a great shed load of invaluable bonuses to go with 'Introduction To Horseback Riding' to say a big 'Thank You' for purchasing. Now if you buy this Hardback version of the book, you will still get the Free bonuses, but I am sorry but I simply can't get them all printed because it would cost far too much and I'd have to charge you for them. So, as, I prefer to give my bonuses away absolutely FREE, if you want them you'll just have to download them yourself – the choice is yours! Seven Bonus Gifts Valued At $150! Learn the real secrets of a very experienced Vet’s practical and common sense approach to keeping a horse in the best of health. In many years of practice there is nothing that this man hasn’t come across, so you get all of his wisdom delivered in straight forward words, plus the remedies to make for yourself, if you choose. 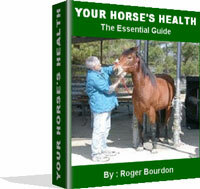 This invaluable book will save you $’000s on unnecessary vet bills as well as keeping your horses in fantastic health. The horse has been a faithful servant of man for over 4,000 years, but taming and training them has never been easy. Discover the ways in which these beautiful animals can be tamed, kindly and effectively into the best saddle or harness mounts for anyone to ride. Now, I can't say fairer than that can I? And don’t forget you also have the peace of mind of knowing that you have my 100% Money Back Guarantee if for any reason you are not satisfied with your purchase. Now Just To Remind You, You Can Be Reading This Brilliant Hardback Book In Just A Few Days Time, But You Could Be Reading All The Digitally Delivered Bonuses In Just 90 Seconds From Now! Once your payment is approved you will be taken to a download page where you will be able to instantly access your digitally delivered Bonus Books. It does not matter what time of day or night it is - you can start reading and learning all about horseback riding this very instant! P.S. Are you still hesitating? Quick, do this - consider what it would be like to be riding through a trail, the breeze in your hair. Imagine seeing waterfalls and wild animals around you as your horse gently takes you through nature. Is this an opportunity you should give up? Especially knowing that there is a complete guarantee to get your money back if you are unsatisfied with the book for any reason? P.P.S. This hardback book has absolutely everything you need to know to make your experience in the saddle fantastic right from the word go. It covers, what to wear, how to sit, all the safety considerations, how to control and direct the horse and loads more – this truly is a one-stop information source to get you up in the saddle safely and having fun right from the word go! The great thing with an ebook is NO postage and shipping costs, IMMEDIATE download, and with ALL the great bonuses available – you could be reading this one within minutes of your order! Including very detailed advice on how to deal with real problem horses that seem un-trainable. The fantastic, insightful and invaluable training advice that comes from years and years of hands-on experience can be yours today – and it’s so good that even an Olympic Eventing Champion uses it, so it’s sure to improve YOUR horsemanship skills!